Beware: The intense adult material in this book is not for everyone. 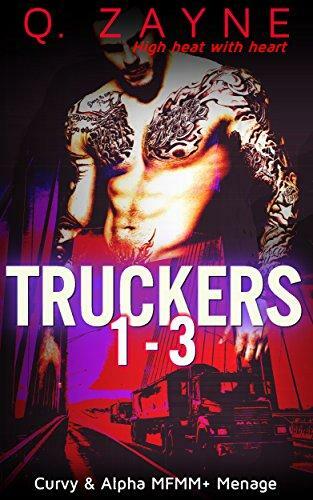 Three tattooed, muscular, ex-con truck drivers with wicked desires. Three untouched, curvy young women in need of their first rides. Each heroine faces the temptation of dominant menage initiation for a hard and unprotected first time. Truckers is full of danger and love. The scenarios represent fantasy fulfillment for the heroines. All characters are 19 or over and consented to having this much creamy, risky fun. Truckers 1-3 contains interracial love, hard group action, spanking, and scary moments. It is for mature, responsible readers 18+.